Wallpapers first, Windows first. 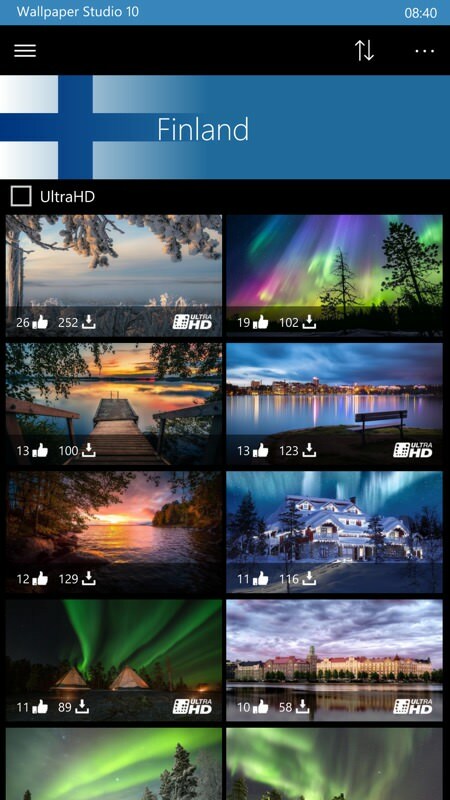 A fully featured wallpaper browsing, upload and management system, Wallpaper Studio 10 is also a shining example of how flexible, powerful and downright pretty a UWP application for Windows 10 can be. 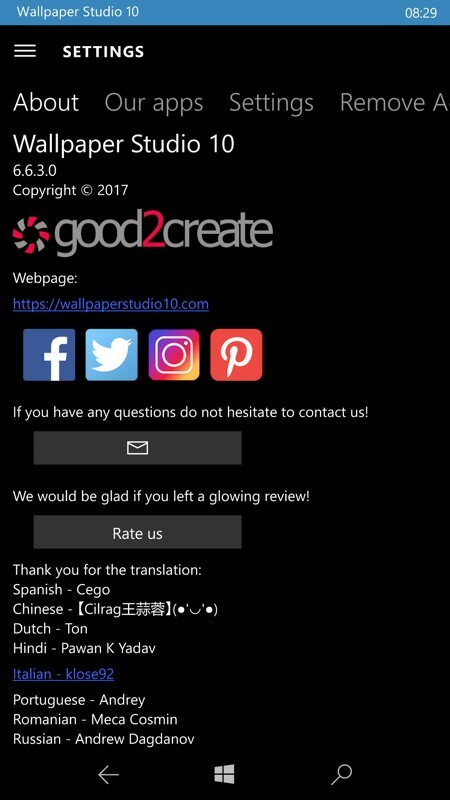 Wallpaper-changing/setting utilities aren't unknown on Windows 10 Mobile, of course, but Wallpaper Studio 10 is by far the most polished I've seen. 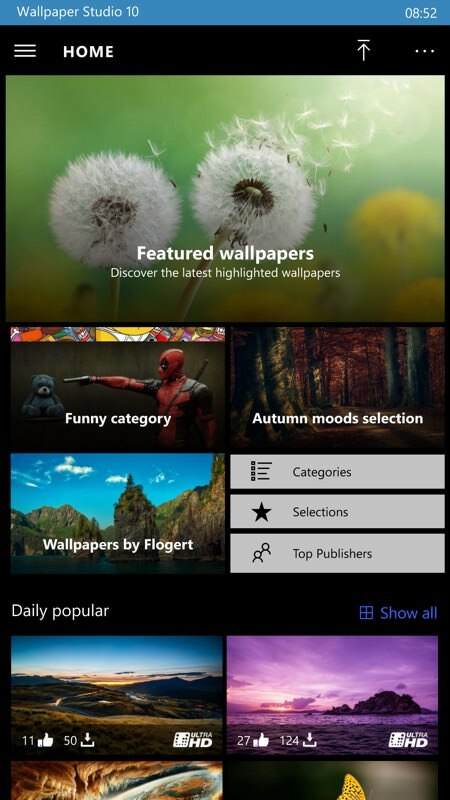 With the interface featuring 'Fluent Design' throughout and with the stunning wallpapers looking amazing on the typical AMOLED screens of Windows phones, the experience is sumptuous. 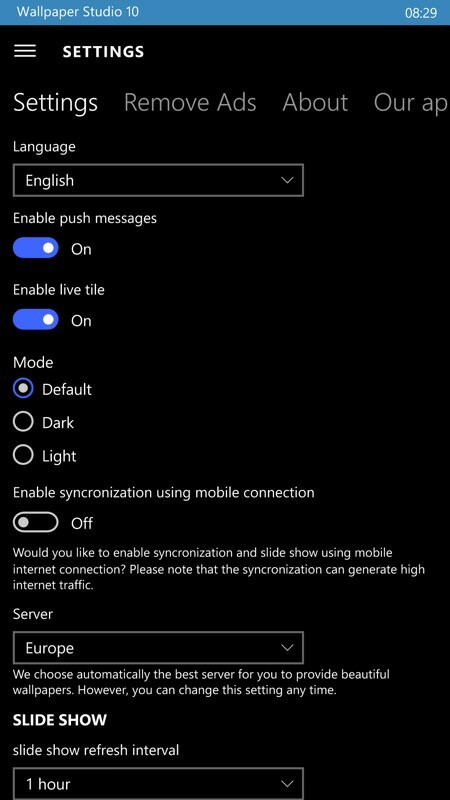 It's fair enough that this isn't exactly a showstoppingly critical feature for a smartphone - Windows 10 Mobile already includes built-in daily lockscreen changing (to the Bing/Spotlight image of the day) and this works supremely well, as my Twitter feed in recent months will testify, since I often showcase them. And note that 'wallpaper' here refers almost exclusively, I'd argue, to lockscreen image rather than the actual Start screen wallpaper, since curating the Start experience is a very personal thing and I can't imagine anyone would want their live tiles to acquire a new background (in this case) once a hour, with resulting variable visibility of all the information. Wallpaper Studio 10, then, goes several steps further beyond the simple Bing image daily changes. In fact, it includes these as well, including the recent Microsoft archive of past images, should you hanker after any favourites from these. 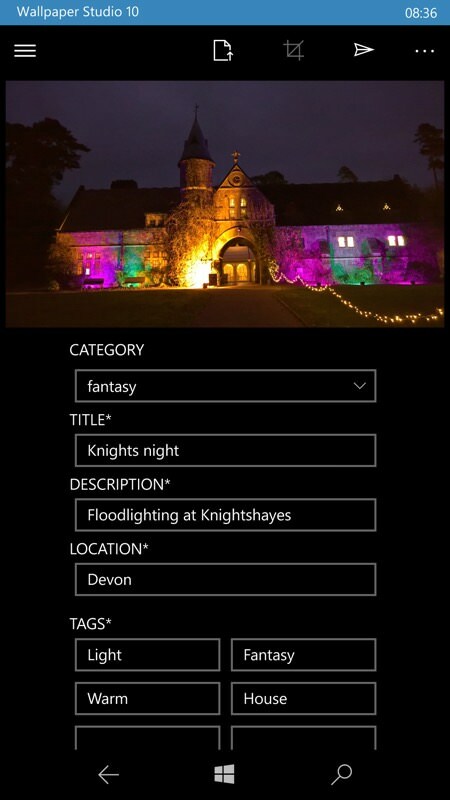 In fact, it goes down in granularity to every 15 minutes and up to every week, and you can set almost any combination of photos as the pool to pick the slideshow from. 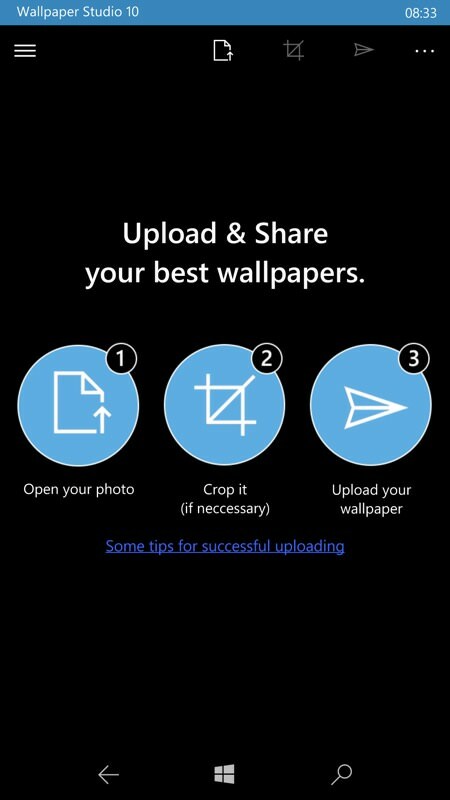 For example, your saved favourite wallpapers, the latest from your favourite publishers, the last fortnight's worth of Bing images from any of seven world regions, wallpapers from any category you choose - the only thing I couldn't 'start a slideshow' for was search results. 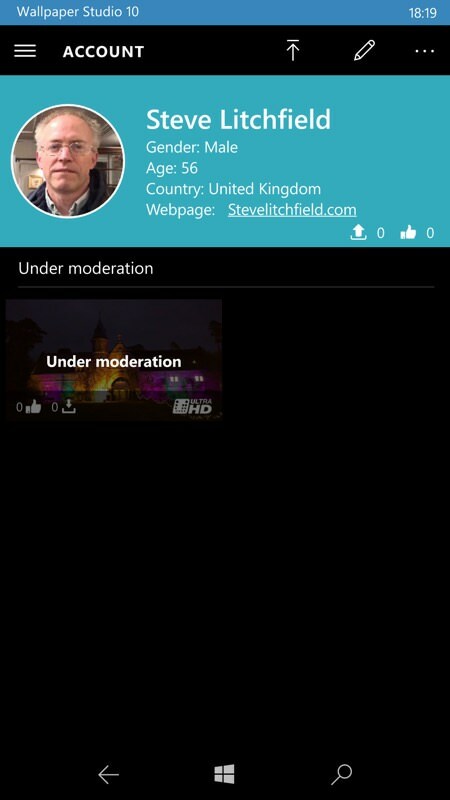 As with all good UWP apps, there's an opening set of 'tips' screens. Note that even here there's transparency going on. All very pretty! 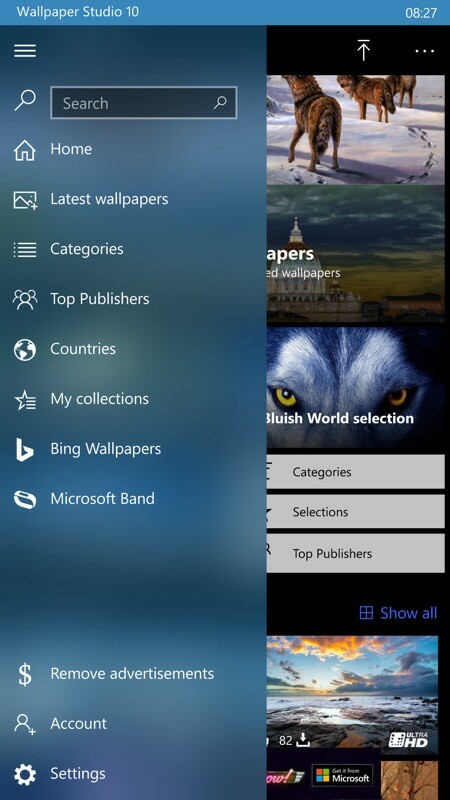 More and more Fluent Design, here on the hamburger navigation menu, which also gives a good overview of the sources/collections of wallpapers; (right) here I'm browsing recources by country, one of the many filtering options. The extensive Settings pane, your main choices here are the region server to use and the frequency with which you want Wallpaper Studio 10 to change your lockscreen graphic; (right) Plenty of polish even on the About page, and good to see all the many translations - this should work almost anywhere! 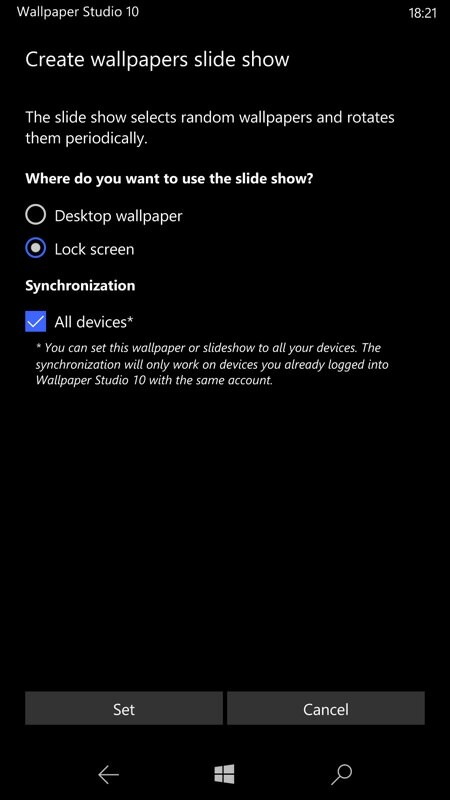 Tremendously flexible then, and by signing in via your Microsoft account (or another social account) you can synchronise your Wallpaper Studio 10 slideshow and settings to any other devices on which you have the application. 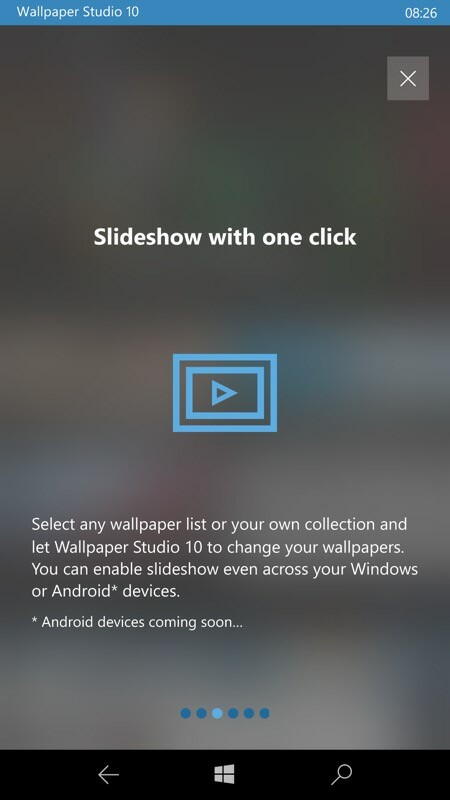 Starting, for once, with Windows itself and coming to Android 'soon'. Ha! 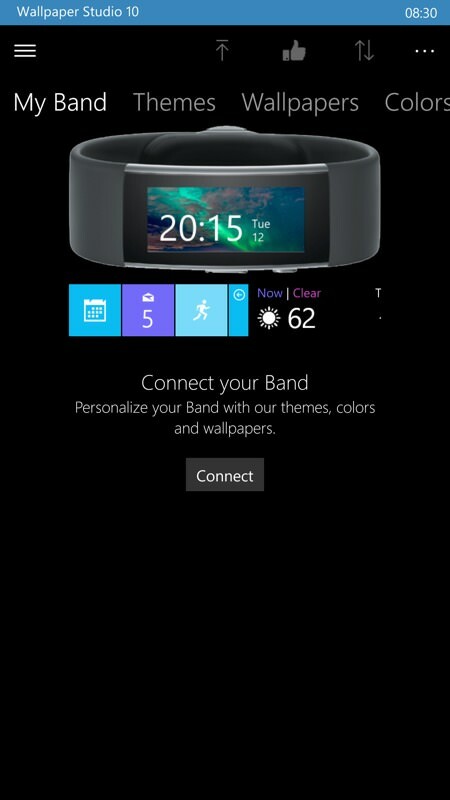 Any for anyone who still has a Microsoft Band (FX: sheepishly holds up hand), there's a whole Band section, where you can sync favourite wallpapers across to your Microsoft wearable. 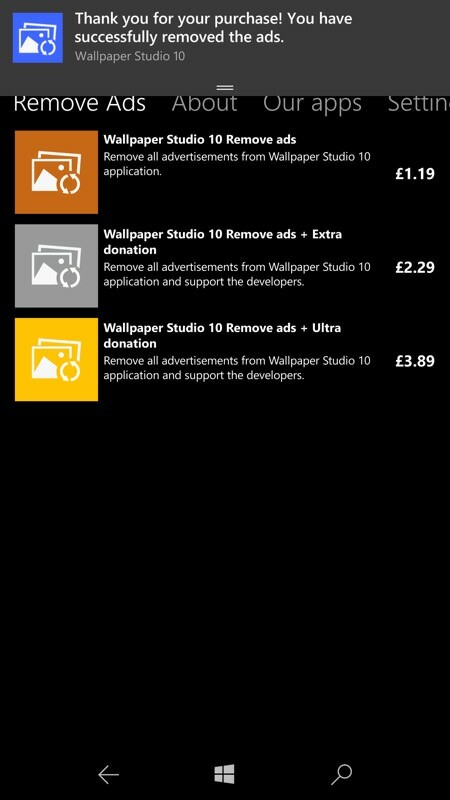 The minimal IAPs - the £1.19 is the real cost of the application, since, if you're keen enough on cosmetics and great wallpapers, then you're unlikely to want to tolerate messy on-screen ads! (right) About to hook up a Band and sync some of these wallpapers over. Albeit drastically cropped!! 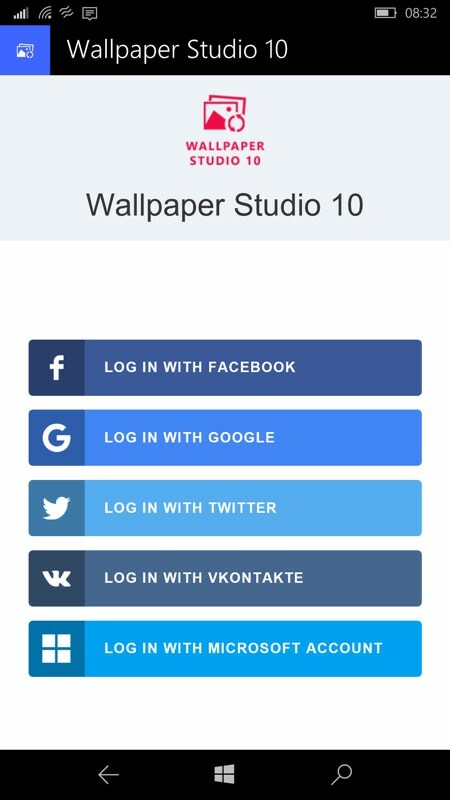 You can even get involved in the Wallpaper Studio 10 scene by uploading your own creations/photos. You're prompted to add quite a bit of meta-data - to help searches - and your uploads are moderated (for obvious adult content reasons), but there's no reason why you can't make a name for yourself as a wallpaper publisher. Having picked a suitable photo for wallpaper (here in 16:9 for use on a Desktop or via the usual vertical cropping for Mobile), it's a matter of filling in the blanks and then hitting the upload control; (right) Ah - my upload is waiting to be moderated (still like this after 12 hours). Well, that's fair enough. And it's the weekend right now, so I'm guessing that moderation is a manual process and happens in work hours! If all this seems a little overwhelmingly positive then I challenge you to install Wallpaper Studio 10 and try it for yourself. Heck, the only monetisation is the removal of the banner ads (which are annoying, so you'll want to zap them ASAP) and this is only just over £1 in the UK Store, so that's the total price of the application. 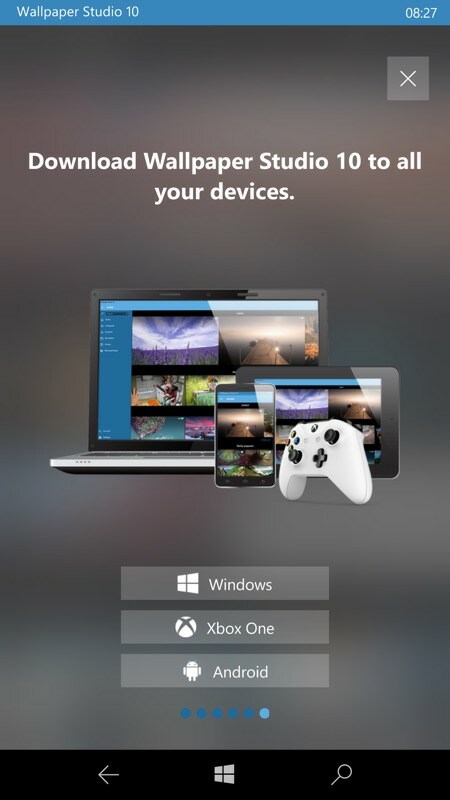 For all your Windows devices. Bargain. In fact, there are two more in-app purchases, but they're simply including donations to the developer, should you feel massively grateful to them and generally impressed. When specifying a new 'slide show' (i.e. 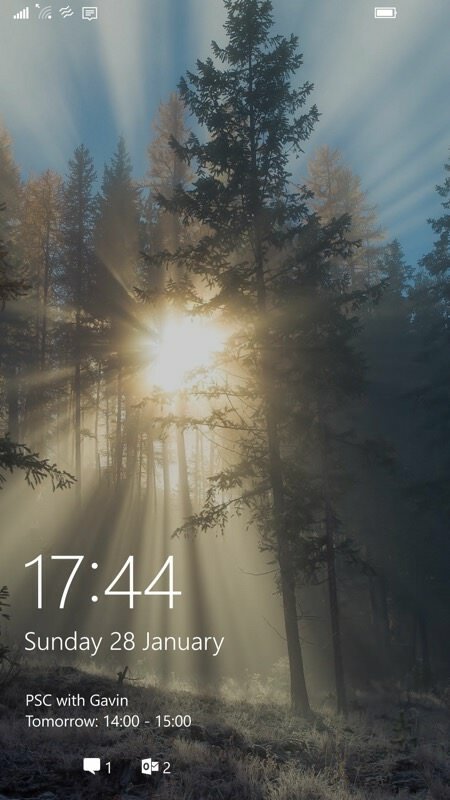 a sequence of lockscreens/wallpapers), you're asked where to apply it. 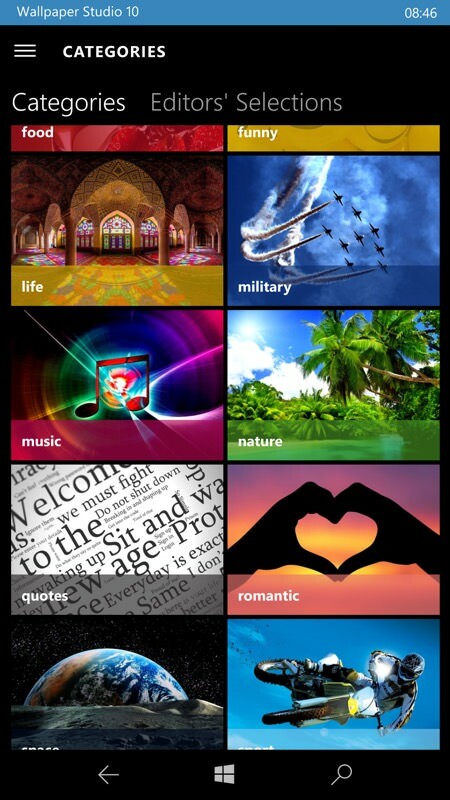 I choose as shown above, left - nothing needs to touch my well-crafted Start screen and its current colours and contrast! Note that I've also checked the sync box - installing this app on my Surface Pro would then see the same preferences and graphics appearing on that! 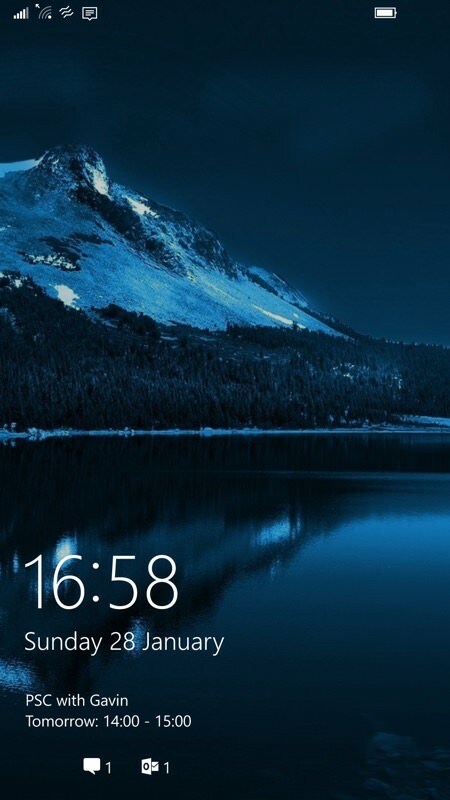 (right) a typical Wallpaper Studio 10 UWP-supplied lockscreen, in place and a new image put in place - in my case - every 15 minutes. Cool! More lockscreen wallpaper action. In this case browsing by category and then kicking off an entirely new 'slide show'. Hit! 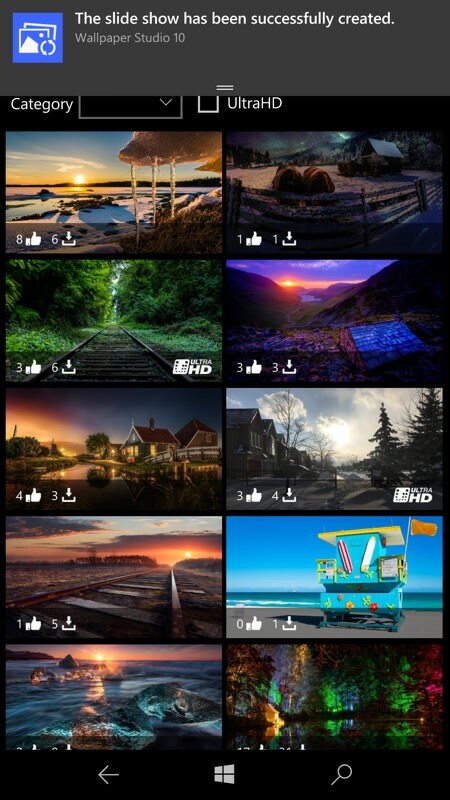 From finding and saving terrific lockscreen wallpapers, to turning on automatic slideshows that you'll enjoy whenever you turn your phone on, to engaging socially with publishers and letting them know that you enjoy their work, Wallpaper Studio 10 covers every base.